Illuminate and enlarge any surface! In a world where everything’s getting smaller – from the size of your phones (well they’re getting bigger again!) to your computers, it is imperative that you cope with being able to comprehend and play along with small stuff. Unfortunately though, no matter how hard you try, you can never cope with small letters – that’s a downright difficulty that we face most times. But lucky you, because we present the LED Paperweight Magnifying Glass. 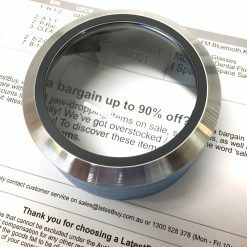 For starters, it’s a paperweight (quite an elegant looking one too) and it has a magnifying glass to help you read those miniscule letters on your pocket Bible or dictionary. If that’s not a cool and innovative idea already, it’s even got LEDs to light up those letters to give you an effortless reading experience! 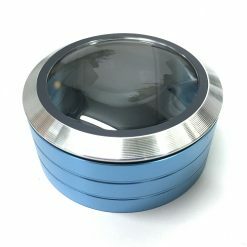 The LED Paperweight Magnifying Glass is extremely portable and there’s no reason why you wouldn’t want to carry one in your bag. 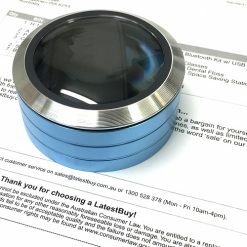 Hurry up and purchase your LED Paperweight Magnifying Glass online soon! It also makes for a lovely gift idea to just about anyone – your mum, dad or friend. It’s versatile, it’s useful and it’s fun. Don’t miss this deal. 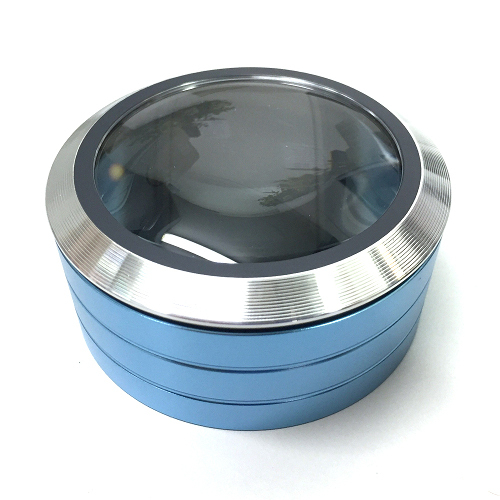 Product dimensions: 12.5 (H) x 12 (W) x 7 (D) cm / 4.9 (H) x 4.7 (W) x 2.7 (D) inches.